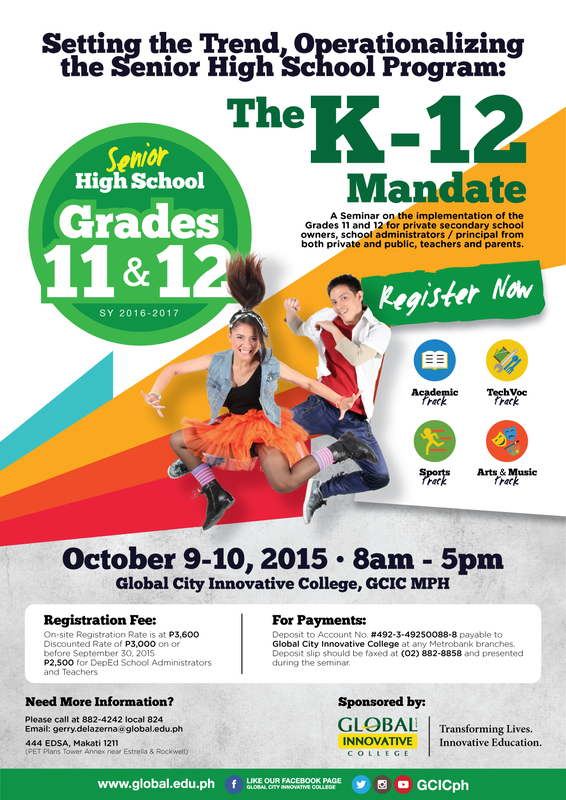 Global City Innovative College | The latest announcements from Global Innovative. The latest announcements from Global Innovative. 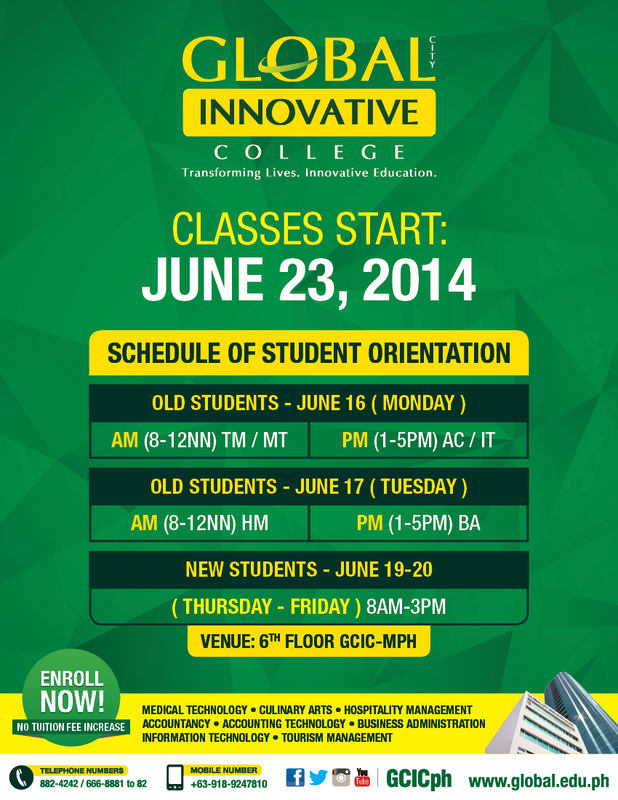 Global City Innovative College at any Metrobank branches. 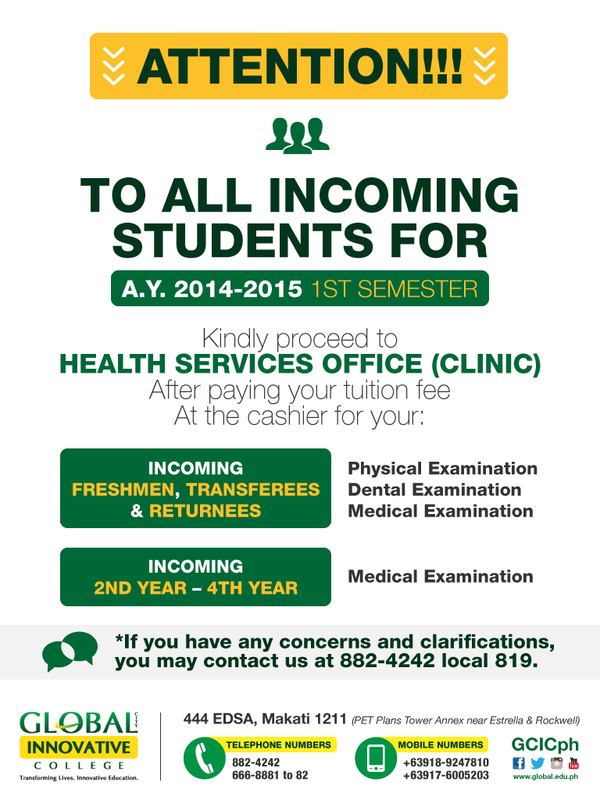 * If you have any concerns and clarifications, you may contact us at 882-4242 local 819. Samsung Hall, SM Aura Premier, 26th St. Cor. 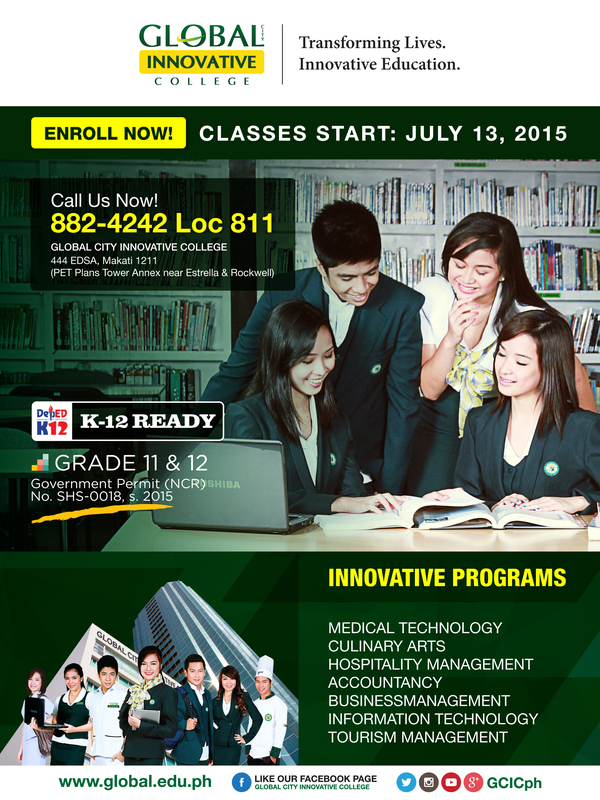 Congratulations Graduates of Batch 2014!